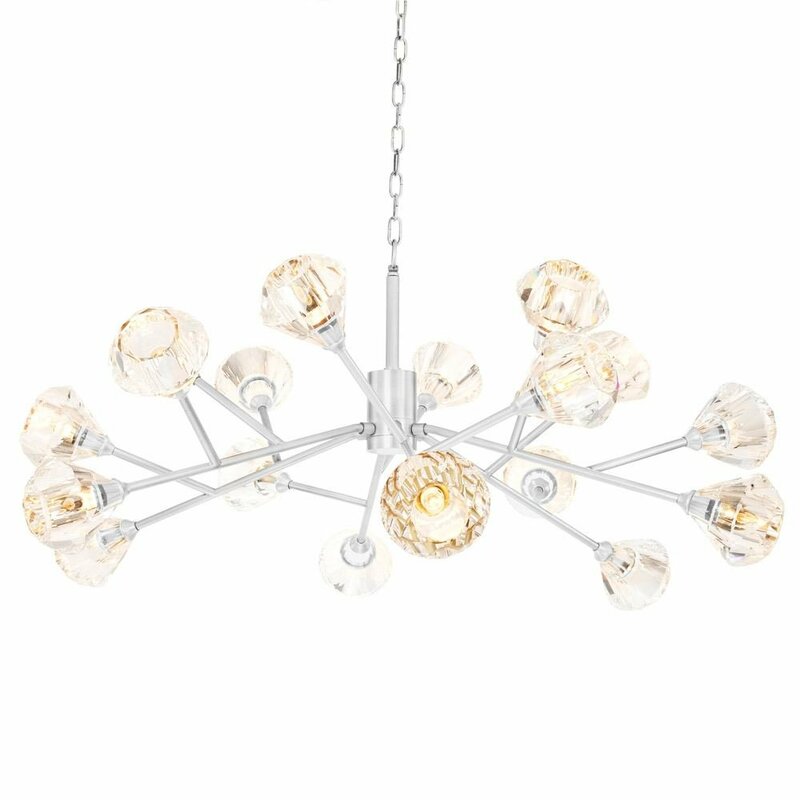 Add some wow to your décor with lighting from side lamps to wonderful wall lights or go all out with a huge statement making chandeliers to pendants which finish your room off. 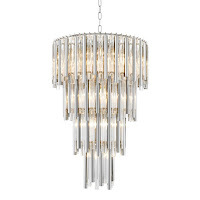 Houseology sell the full range of Eichholtz Lighting to add some wow to your home. 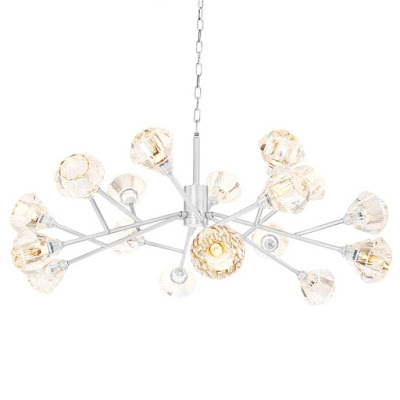 This grand Lustre Granville chandelier light has 18 individual candelabra fittings which can be combined with many shade combinations to suit your interior scheme. The antique brass finish gives the fitting a raw natural appearance which is then offset against the fabulous cut glass pendant droplets which sparkle when illuminated. These layers of glass droplets form a fashionable decor which reminds us of icicles sparkling and shimmering on winter tree branches. 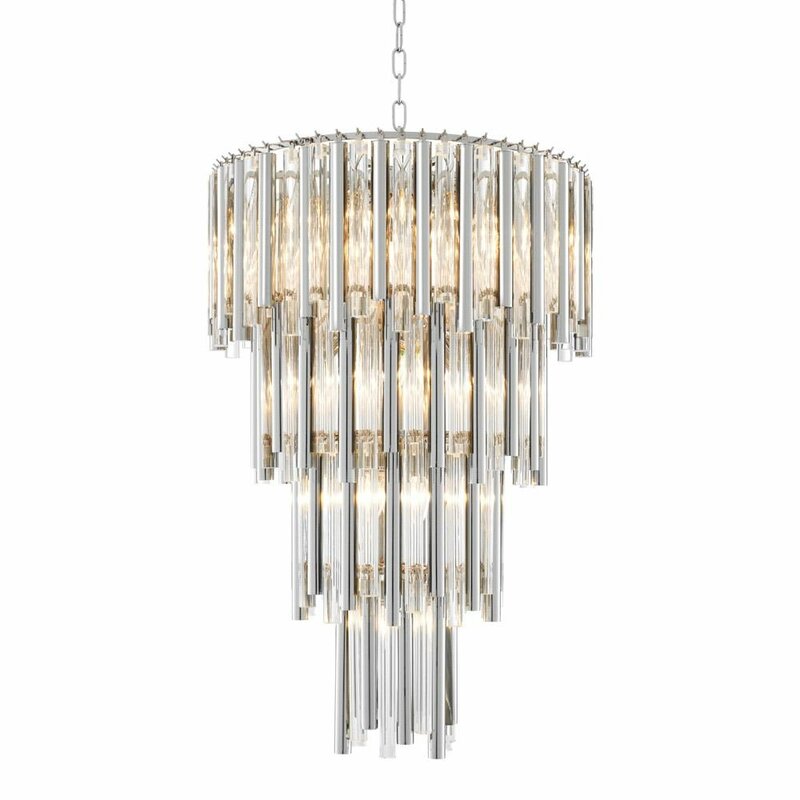 Inspired by the elegance of Luxe interior schemes, this enviable designer chandelier collection offers a choice or nickel and antique brass finishes. Sculpted by designer lighting experts using rods of welded iron, this striking chandelier creates a branch-like sculpture and each rod is embellished with stunning crystal glass diffusers for a radiant enchantment.Spanning light in every direction, this alluring designer lighting solution creates a showstopping illumination to remember.Install alone for an instant focal point or align in formation to creates a layered lighting effect which is sure to turn heads at your next dinner party. Taking inspiration from the atmospheric ambience of Art Deco lighting schemes, this alluring Eichholtz chandelier features an ornate four tiered drum design. 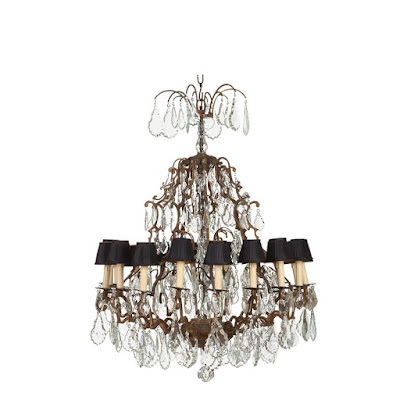 Suspending four glass jewel encrusted crowns, the chandelier nestles 13x individual lamp holders inside. 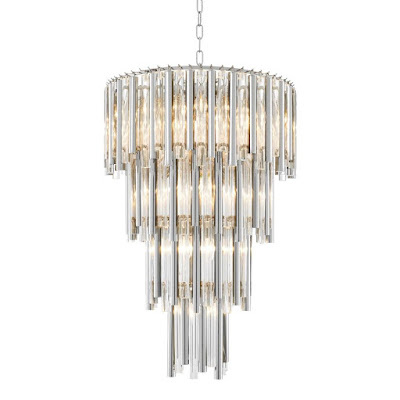 A chain and link suspension with accenting ceiling rose then completes the aesthetic for easy installation and Gigi's iron structure is presented in a choice of metallic finishes for a touch of modern Luxe. Add some designer style to your home with this fabulous high quality crystal glass table lamp with cream shade. 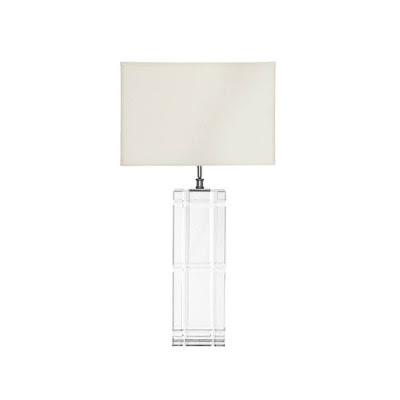 Each lamp has been meticulously crafted by skilled artisans and features a geometric cut glass pattern in the base. 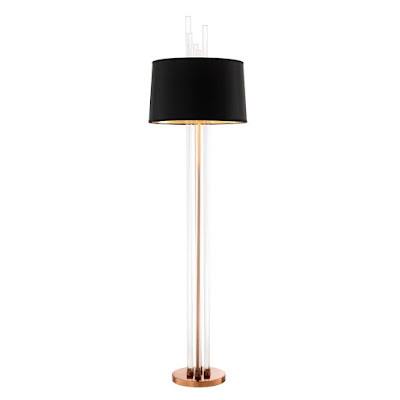 Available in a choice of rose antique brass and polished nickel finishes, this designer floor lamp incorporates a striking series of full length clear glass rods. 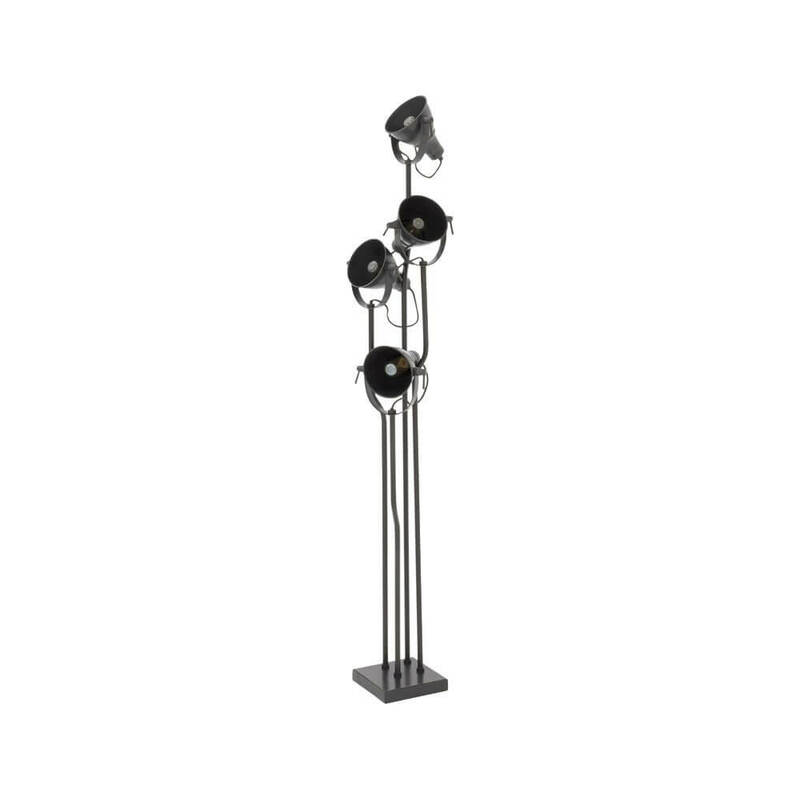 Tapered to create a fluted effect similar to the top of a musical organ, the rods peek upwards tapering above the shade for a striking visual expression.A black shade with metallic inner then completes the aesthetic in style, ready to combine with your own light bulb (not included) for a truly mesmerising illumination. Presented in a choice of marvellously metallic finishes, this unique designer table lamp features a polished iron construction. 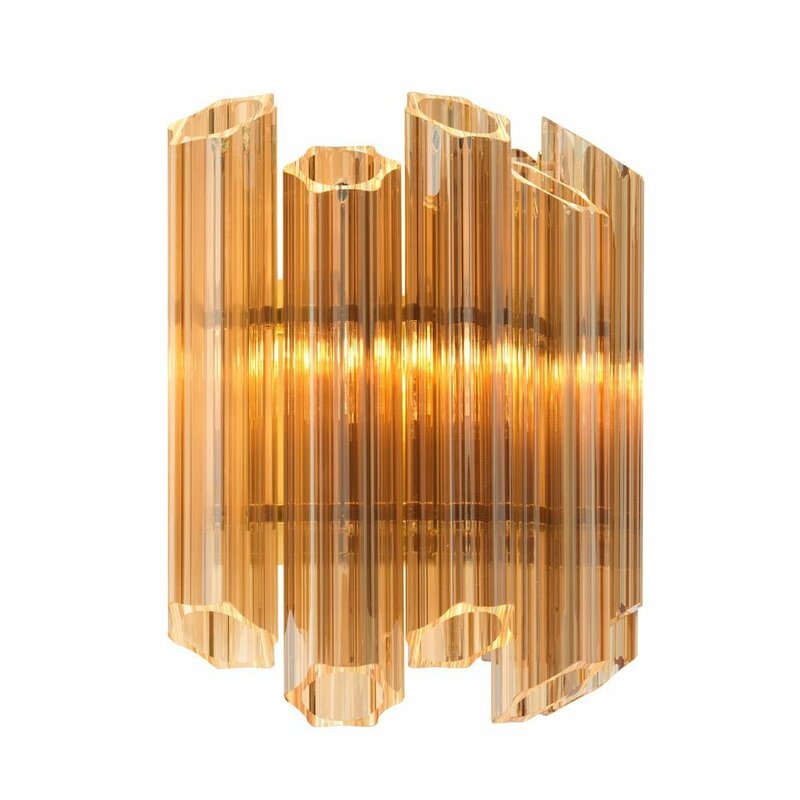 Weighted by a branched arm and rectangular base plate, the real showstopper of this luxury focal point is the sculptural glass rod exterior. Promoting a dynamic dimension, the bespoke exterior encourages an enchanting, atmospheric ambience once switched on as light filters through each suspended rod. 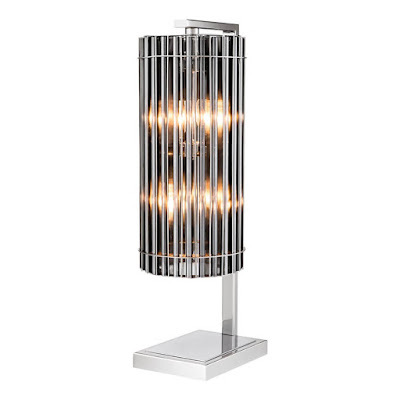 Add a touch of Hollywood glamour to your interior with the Melbury Floor Lamp collection. Created by the designer homeware experts at Eichholtz, this lovely collection of metallic lamps is a lovely alternative to the traditional floor lamp. 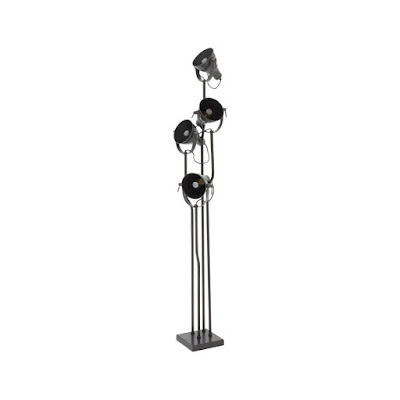 Tall and graceful, each floor lamp has four directional spot lights to offer a layered illumination of tapering light.In a choice of radiant finishes, there's a Melbury to meet the needs of any style-conscious interior.Tweak the light to highlight your accent pieces in your interior space and combine with accenting elements from the Eichholtz interior collection to elevate the look in true designer style. Channelling vintage nostalgia, this unique tubular wall light features a cylindrical formation of glass rods. Reminding us of the filtered exterior of antique zoetrope toys, the light reveals a double lamp holder inside. 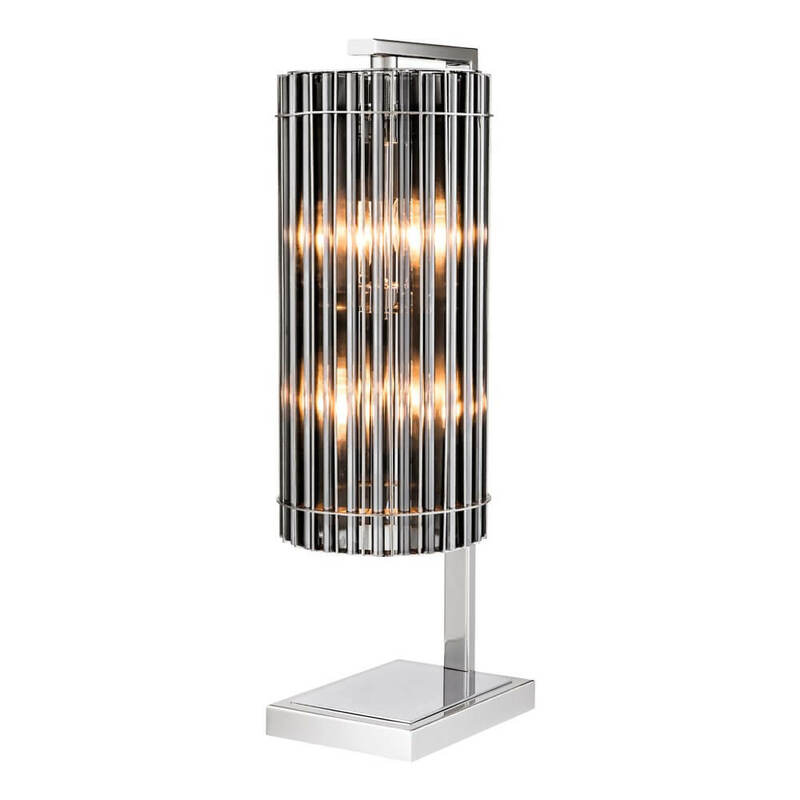 Creating a bright illumination, the lamp is then nestled within a stainless steel frame, available in a choice of aged metallic finishes.Grace at either side of your hallway console table or position along the wall in a rhythmic installation to light the way in dimly lit corridors. 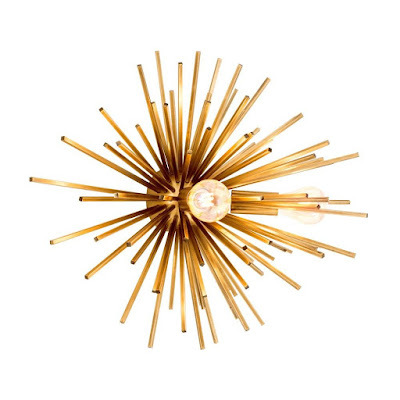 Taking style cues from the iconic profile of the timeless Sputnik chandelier, this sculptural designer wall lamp is inspired by the Soviet Union's Sputnik satellite which was launched in 1957 and was the first ever satellite to orbit the earth. Reminding us of the angular spikes of mysterious sea urchins, this double wall lamp features a radiant matt brass finish steel construction. 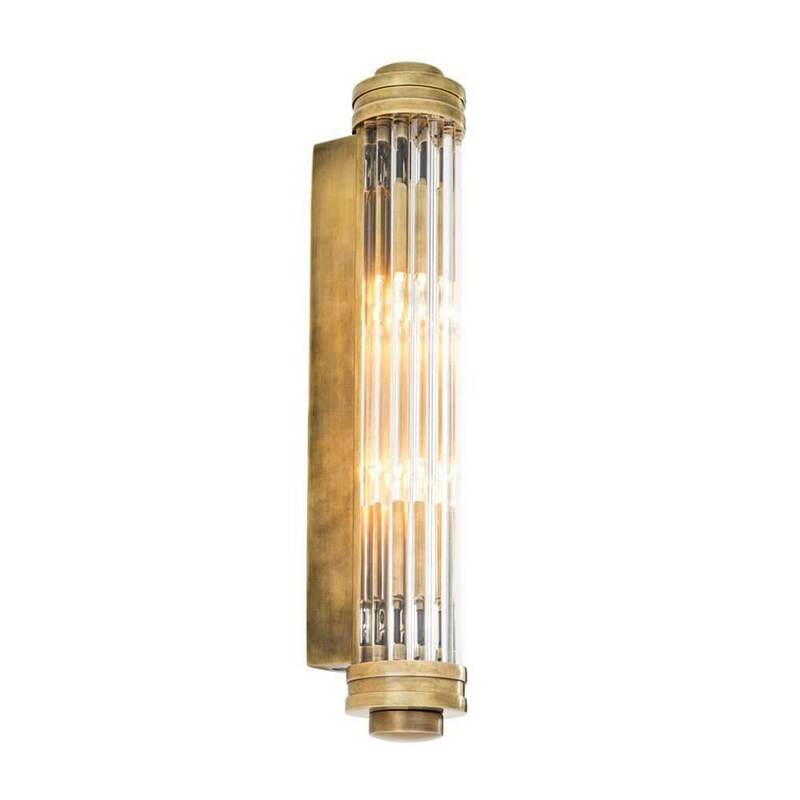 Retro yet modern and stylish, this metallic marvel fixes flush to the wall and is the perfect remedy for dimly lit corridors where it will look great installed alone or aligned in formation for maximum visual effect.